Can it be that judicial conservatives are capable of court activism? 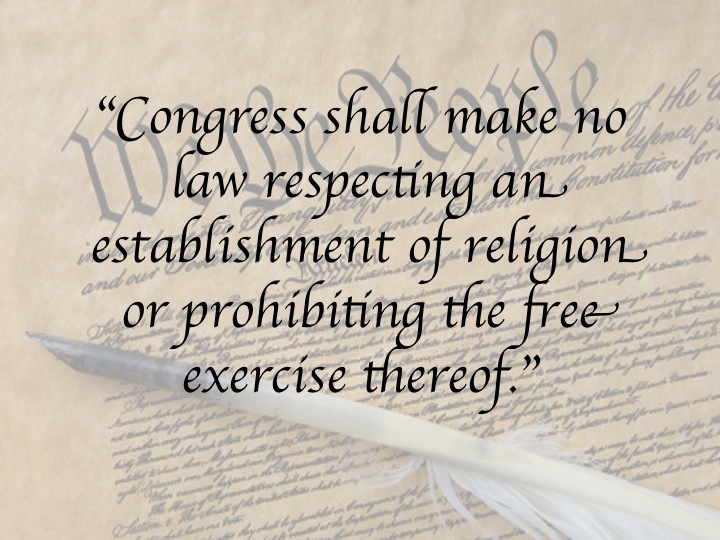 The U.S. Constitution is abundantly clear to many of us on this point about the establishment of a state religion: Government cannot show preference for any religious faith, period, done! An Alabama prison inmate wanted an Muslim imam to pray for him before he was put to death. The 11th Court of Appeals had issued a stay for Dominique Ray. But then the U.S. Supreme Court ruled 5-4 that the lower court was wrong to issue the stay, and it allowed Ray’s execution to go forward. The 11th Court had ruled that Alabama officials violated Ray’s constitutional rights by disallowing the imam to pray for the inmate. The state said it would allow Christian prayers, but not from a Muslim religious official. According to Reason.com: The Alabama prison typically allows a Christian chaplain, also a prison employee, in the execution chamber, where the chaplain may stand near inmates and pray with them. But for security reasons the prison does not allow non-employees into the chamber, and it refused to make an exception for Ray’s imam. Oh, my goodness. This is utter nonsense. It is a secular document. Why in the world is that so difficult to grasp? Dominique Ray, to my way of thinking, clearly was denied his constitutional right to have a member of his preferred clergy pray with him as he prepared to die for the crimes he committed. As Justice Elena Kagan wrote in her dissent: “The clearest command of the Establishment Clause,” this Court has held, “is that one religious denomination cannot be officially preferred over another.” But the State’s policy does just that. Under that policy, a Christian prisoner may have a minister of his own faith accompany him into the execution chamber to say his last rites. But if an inmate practices a different religion—whether Islam, Judaism, or any other—he may not die with a minister of his own faith by his side. That treatment goes against the Establishment Clause’s core principle of denominational neutrality. Dominique Ray was executed. He deserved the opportunity to pray with a religious leader of his choosing. The state of Alabama was wrong to deny it. The nation’s highest court was wrong to go along with the state’s misguided decision. Previous PostTrump to meet ‘Little Rocket Man’ one more timeNext PostWhy not fill high court seat with another West Texan?